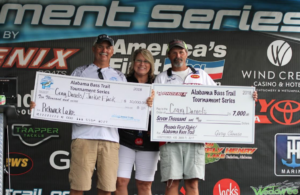 September 22, 2018 – Florence, Ala. – It is a rare occurrence for the Alabama Bass Trail to conclude its season this late in the year. However, thanks to a bevy of storm fronts that pummeled Alabama in February, the season opening event – scheduled for Pickwick Lake at Florence’s McFarland Park – was postponed to September. That event was held yesterday, and the drama was high. 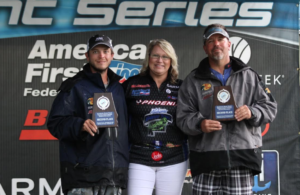 Along with the individual event, there was the matter of the Anglers of the Year race to be decided; which separated first and second place by a mere three points. With Pickwick Lake having been in a state of flux, thanks to rising and falling water levels, as well as hot, summerlike conditions, things were going to be dicey. 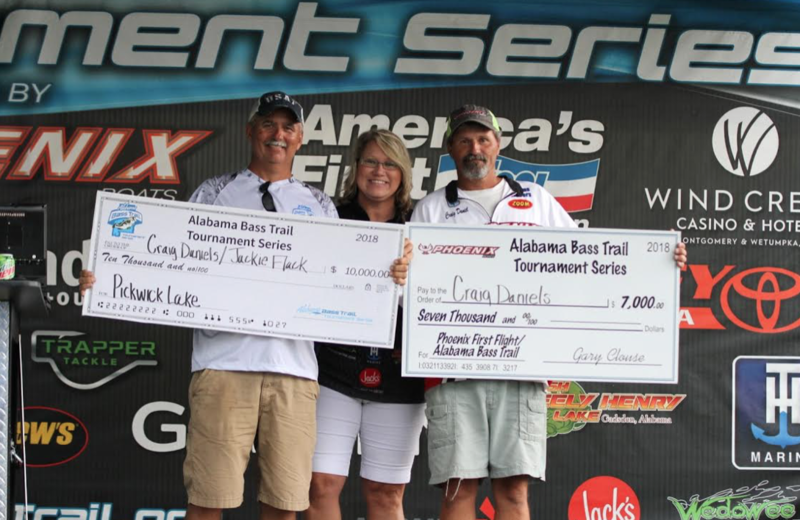 For the individual event portion, Jackie Flack and Craig Daniels; winners of the inaugural ABT Championship in 2014, they bested the field with a total weigh of 19.89 pounds to earn the $10,000 winners’ purse, but they also earned a slew of contingency bonuses from Phoenix Boats, Garmin and others that will push their total take to over $17,000. To top it all off, they earned the automatic bid to the Championship at Neely Henry Lake in October; something they would not have done based on points. They said it was a great day. “We really knew we had to perform – in fact – we really needed to win to make the Championship,” they said. 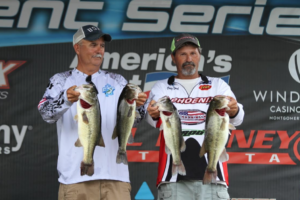 “We threw topwater baits around grass near the Natchez Trace Bridge, and culled three times to get our weight. 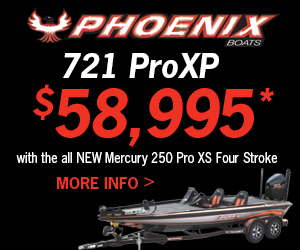 We didn’t think we had enough, but we sure are glad we did.” They reported throwing buzzbaits and Super Spooks all day to get their bites. The team of Duane and Brandon Edel finished with 19.43 pounds to finish second. They said fished the same general area of the lake, but instead of focusing on the topwater approach, they turned to Punching in the grass. “We flipped a 3/4-ounce, green pumpkin Strike King jig and Rage Craw into the grass and got a bite or two every hour to get to our limit,” they said. “We only caught seven or eight keepers, but are really happy with the way things turned out.” They earned $5,000 for the day. The Grandfather / Grandson team of Nathan and Hunter Brewer caught the Mountain Dew Big Bass of the day; a 7.04-pound largemouth, that earned them the $500 cash bonus award. The fish anchored their 16.89-pound limit that earned them a ninth place finish.